Helsinki is often held up for being the first city to offer a comprehensive Mobility-as-a-Service (MaaS) offering. The aim of MaaS is a bold one: to compete with car ownership and eventually make the need for a personal car obsolete by offering a better service and experience. How does this new approach to urban mobility work? Let us take a look at the story of one of the many people in Helsinki who have changed their mobility behaviour thanks to the MaaS option that has been put in place. Harri Nieminen has been using his car in Helsinki for the last nine years. Challenges, such as parking problems, especially in the winter when there is a lot of snow, and the fact that his car was hardly ever in use made him rethink his mobility behaviour. So he exchanged his car for an app – the MaaS service provided by Whim in Helsinki. After only a few months - from autumn to New Year’s Eve, Mr Nieminen decided to get rid of his car in favour of MaaS, combined with a car-sharing offer. “It’s made moving about easier. I can switch modes of transport as needed, and I no longer need to worry about where I’ve left the car or the bike, or about driving it home,” he states. MaaS is expected to be one of the biggest game changers in urban mobility. Its elements are for the large part existing services, such as trip planning, ride hailing and car-sharing, as well as seamless booking, ticketing and payment. The trick about MaaS is to provide all of these services connected to different transport modes in one app, which also includes the ability to pay for all of these services. In the case of Helsinki, users can choose between three options: the all-inclusive service for €499 / month; a service consisting of only unlimited bus travel and short city bike rides for €49 / month, which also includes price reductions for taxis and rental cars; and a pay-per-ride option that enables users to test the MaaS service. Currently, the MaaS service for Helsinki has 45,000 users with 5,100 paying monthly fees. According to Whim, the service operator, if 3% to 5% of the total population of the region used a monthly package, it would be financially viable. This would be about 60,000 monthly users and with this figure, Whim would be able to buy transport services in bulk from the providers and then package these to individual clients. Helsinki is at the forefront of the development of MaaS, as a result of combination of conditions, including: Helsinki has a well-functioning public transport network and has limited space for roads and parking due to its confined space, as it is surrounded by the Baltic Sea on three sides. 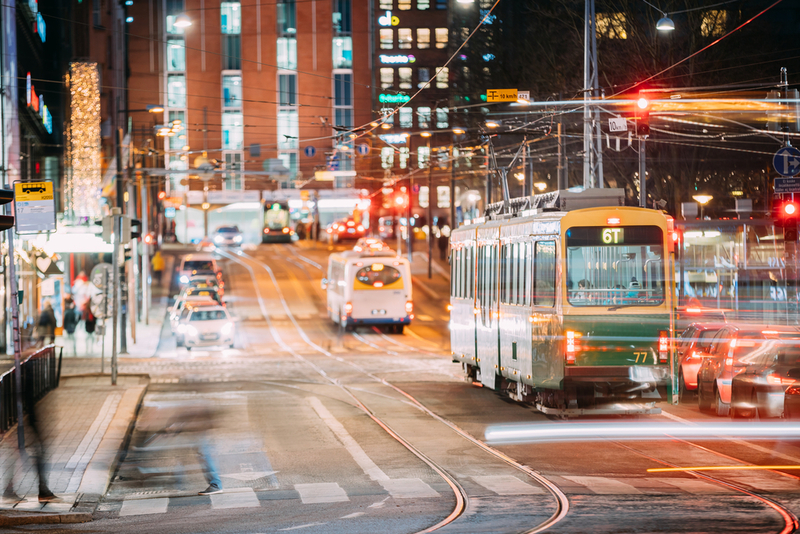 The Finnish transport ministry’s strategy also had a MaaS component in its legislation, which has been in place since 2011, while public transport providers offer free access to their data and have paperless ticketing in place. These elements were a good basis for the development of new transport service offerings. MaaS is already being introduced in other citeis, such as Birmingham (UK) and Antwerp (BE). More cities are interested in implementing similar services, including Amsterdam, Vienna, Munich and Berlin. There is also interest in such services from the US. With the growing number of services being offered and the increasing availability of mobility options, the attractiveness and use of MaaS will only increase. Story first published by “www.bloombergquint.com” on 16th of July 2018.